Nino Salvaggio International Marketplace and Fishbone's present the inaugural Toast on the Coast Beer Festival powered by Showclix on Saturday August 25th. Proceeds supporting Camp Casey. 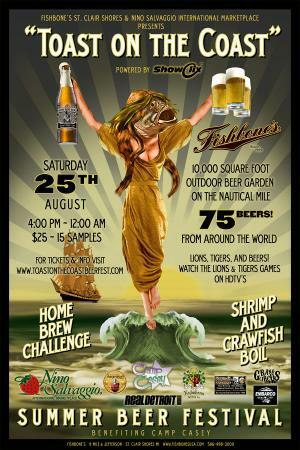 Sample 75 beers from around the world in a 10,000 square foot outdoor / tented beer garden on the shores of Lake St. Clair on the Nautical Mile. 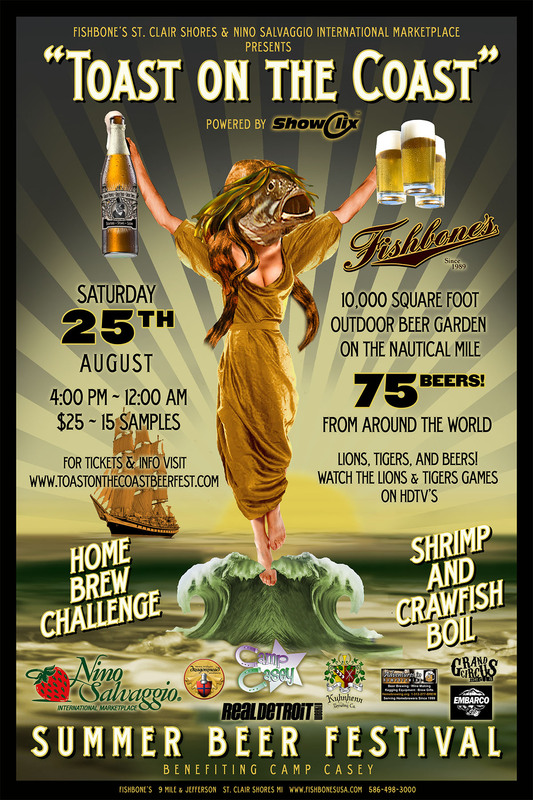 Live entertainment, watch the Lions and Tigers games on HDTV's, and snack on Fishbone's authentic New Orleans shrimp/crawfish boil and beer inspired cuisine! Adventures in Homebrewing, Dragonmead Microbrewery, and Kuhnhenn's Brewing World are excited to present the inaugural Toast on the Coast Home Brewing Challenge. Entry is free! A prize pack valued at over $150 awarded to the winner of each category. Winners to be announced at the festival!